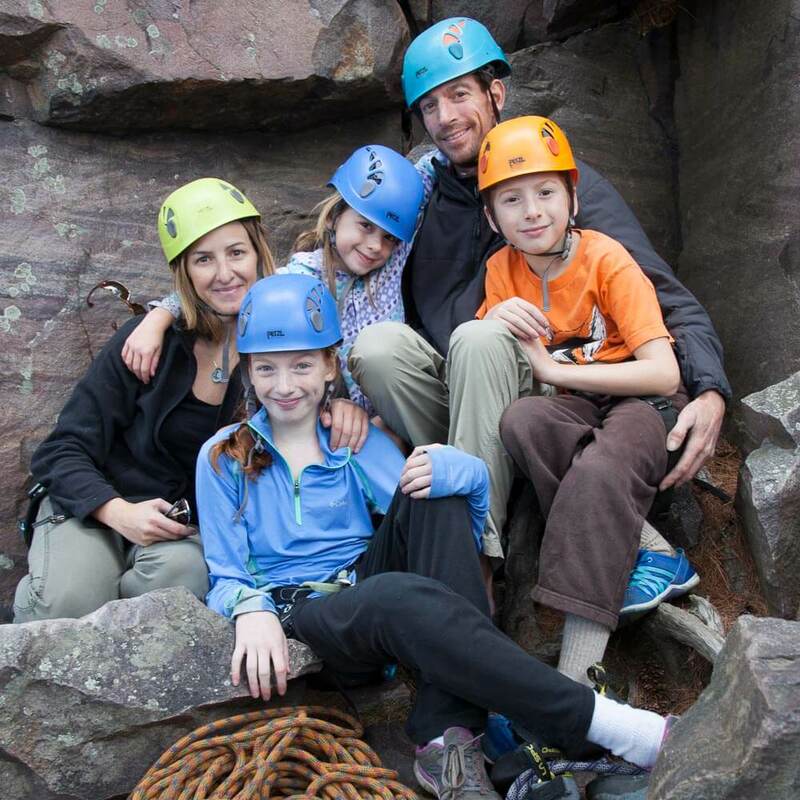 "If you want to introduce your kids to rock climbing in Wisconsin, or give more experienced climbers a great challenge, this is where to go!" Climbing Upper Diagnonal at Devil's Lake. 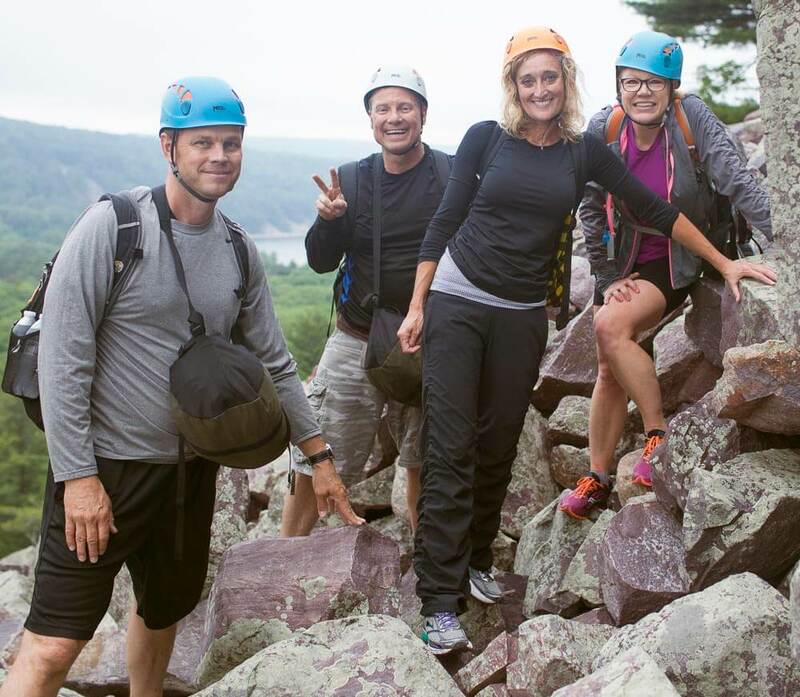 Bring a date, your family, or a few friends to try rock climbing outdoors on the gorgeous bluffs of Devils Lake State Park. Kayne on rappel at Horse Rampart, Devil's Lake. A combination of high exposure, technical rope skill and balance management, rappelling is tons of fun. Bouldering at the Oil Can area at Devil's Lake. Enjoy the freedom of rope-less climbing, solving fun, challenging problems close to the ground. Climbing group from Windy City CrossFit in Chicago. 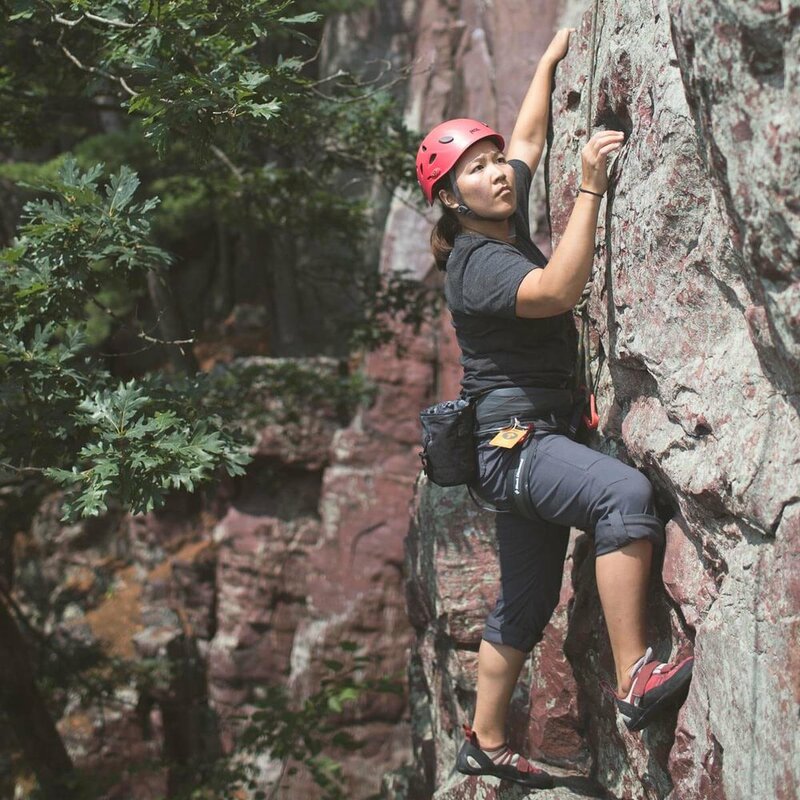 Devils Lake rock climbing is a perfect way for Scouts, students, Meetup groups and corporate colleagues to bond and have fun. Aleeza builds a top-rope anchor on Angel Crack. Learn to place gear and build anchors so you can climb outdoors safely and confidently on your own. Bill leads New Box (5.5) at Balanced Rock Wall. Experienced anchor setters and sport climbers learn to rack up, strategize and place gear on "the sharp end." SUP paddling on Devils Lake. Our newest offering. Enjoy Devils Lake from an elegant view while learning strokes and skills to move confidently on a SUP. Practicing lowering during AMGA SPI. Professional-level training for guides, school teachers, camp counselors and organizational risk managers. So much can happen on a Devils Lake climbing day. Click the images to learn more about what we do. Info on rock climbing, Devils Lake and more. 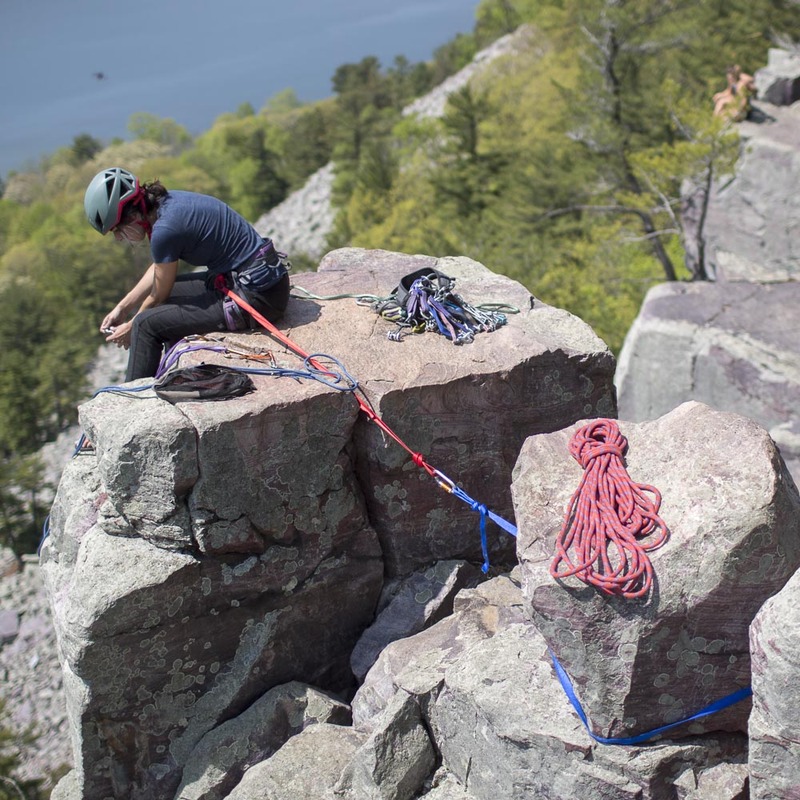 Devils Lake Climbing Guides is a small, local guide service committed to offering quality climbing days on the quartzite bluffs and crags of Devils Lake State Park. We welcome beginners, youngsters, oldsters, rusty climbers, and long-time rock jocks to join us for the amazing experience rock climbing can be. You don't have to be a good climber to have a lot of fun rock climbing. To learn more about our history and philosophy, read our About Us page.